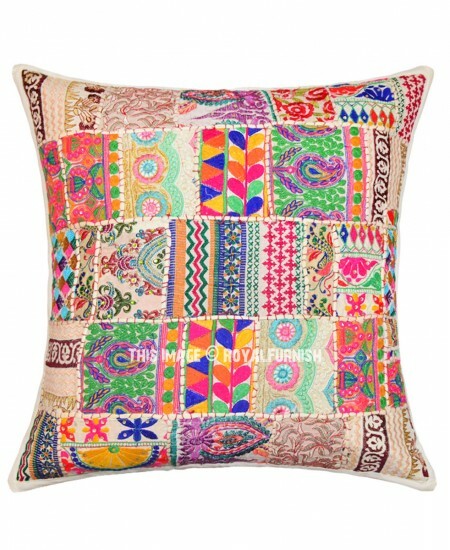 Quick make over to home furniture with assorted color boho patchwork pillow cover. 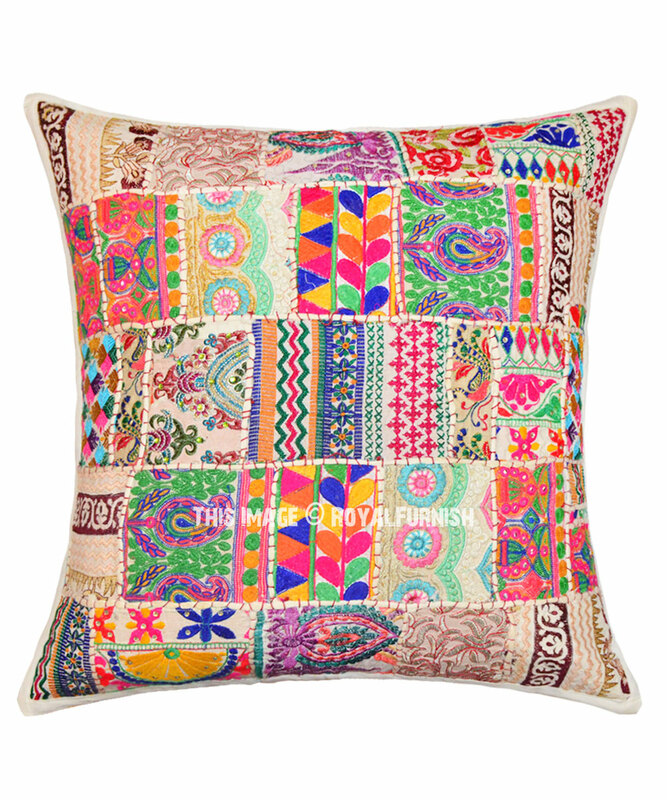 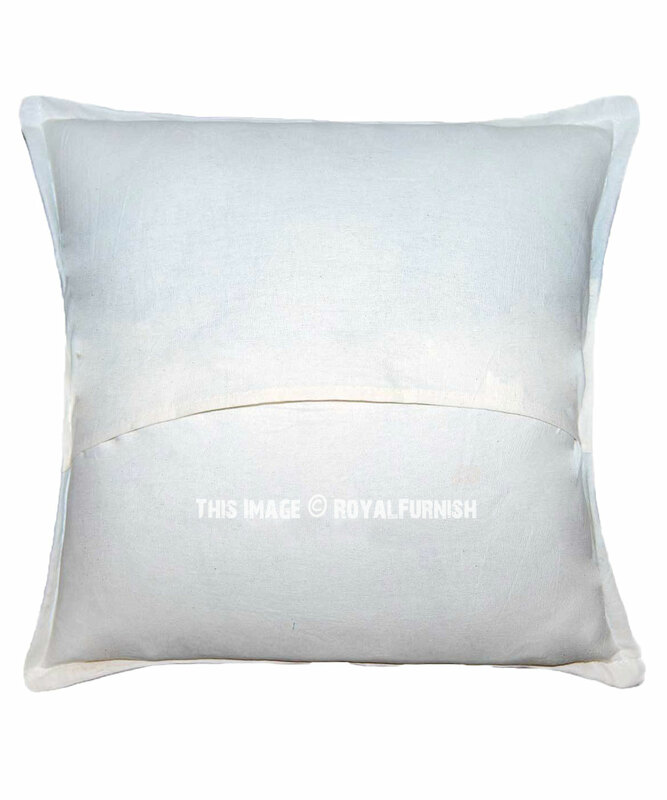 It is one of a kind unique pillow cover due to nature of handcrafted item. 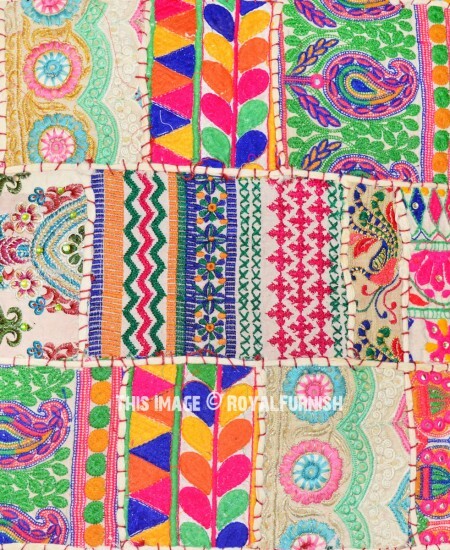 Women at rural area of Rajasthan (India) made this pillow covers with patches of cotton fabrics and give finishing with thick threads embroidery work which makes it pretty and unique. 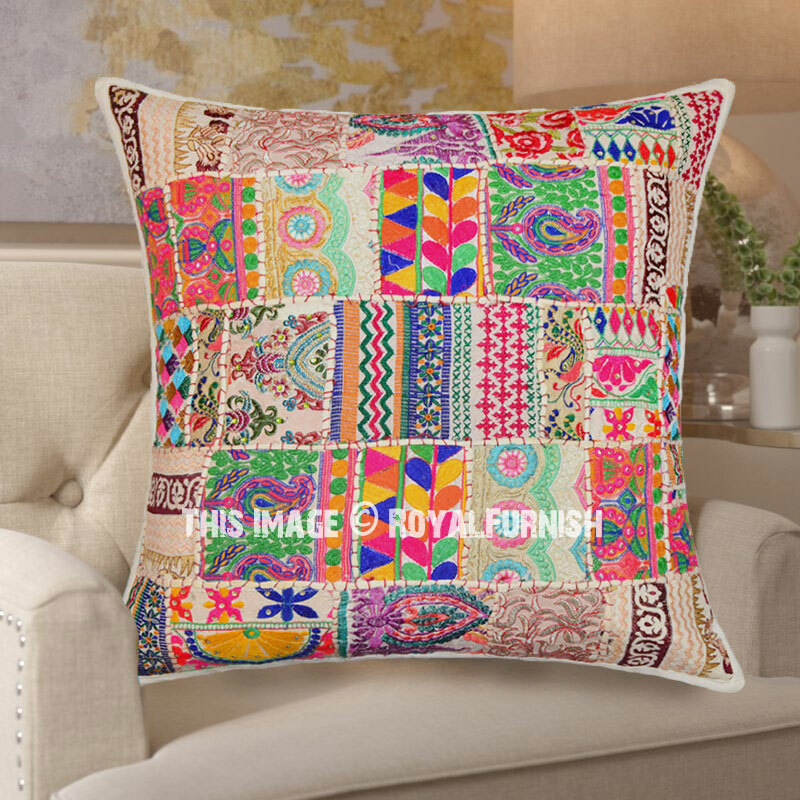 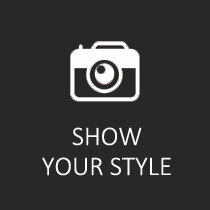 Make your living room, bedroom special by adding this unique piece of art which is rarely found anywhere. 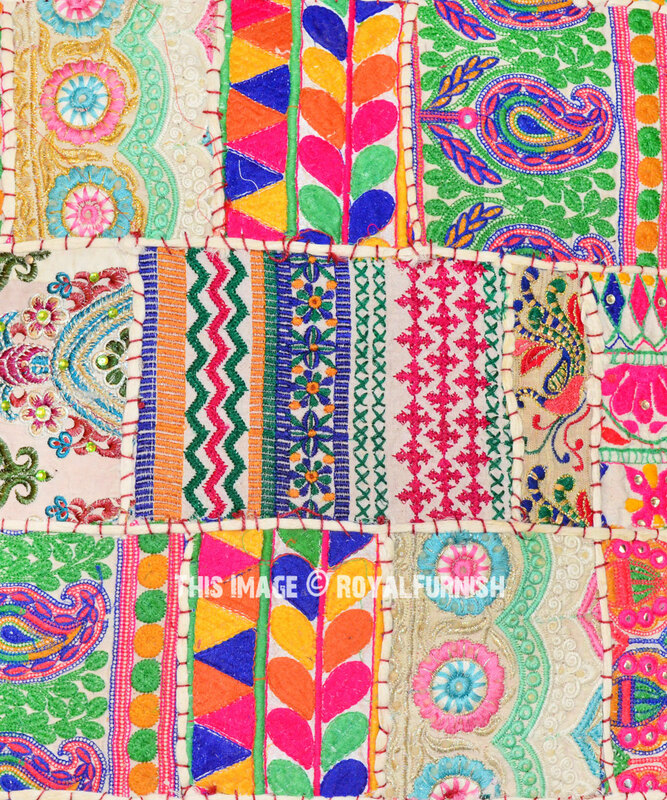 24" x 24" inch (60" x 60" cm.) Approx. 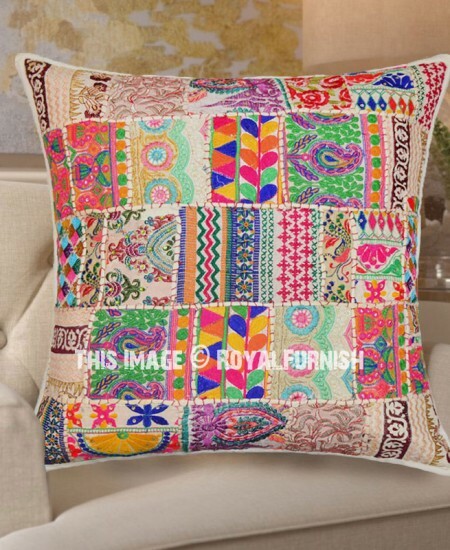 24X24" White Multi Vintage Handcrafted Patchwork Accent Pillow Cover added to the cart!